I am thankful for my friends. Thank you for sharing the run with me. Peak training, friends, and lessons learned. The miles are adding up. These are the miles that matter before the Boston Marathon. This weekend I put in 21 tough miles with my friend Jenny (a former Adventure Racer) who inspires with her endless smiles and positivity and strength both inside and out. It was her birthday yet it was a gift to me to have her by my side training to help me in my Boston Marathon journey. I am so thankful for all of my friends and family near and far who are such an important part of my journey to run 26.2 miles at the Boston Marathon this year. Running is a solo endeavor but it requires the support of many in order to be successful. 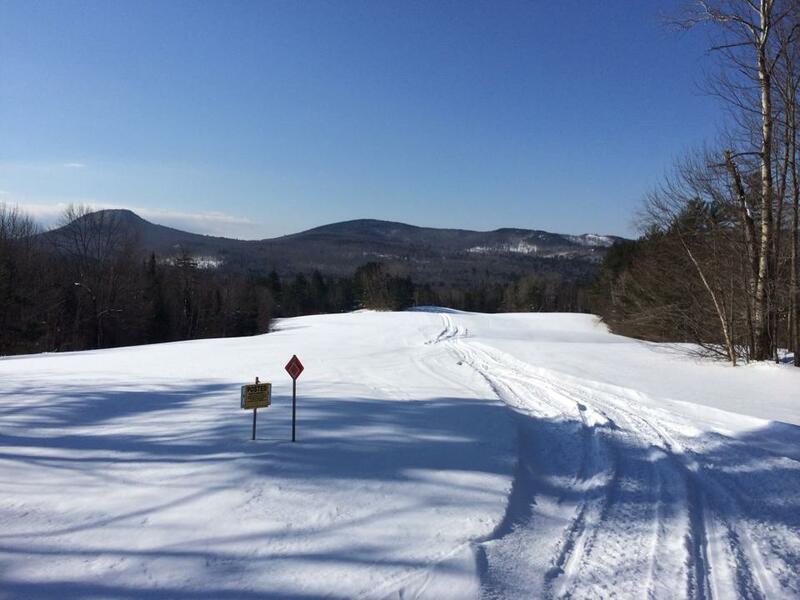 We ran 21 miles on snow covered roads, up many hills and on gorgeous (although perhaps too soft) snow mobile trails. It was 21 miles of running and sharing our stories and challenges with each other. All of it, every step making us stronger along the way. The run started strong up hill for 3-4 miles until we hit the snow mobile trail. It was actually in the 40’s on Saturday which was a perfect running temperature however it made it feel as though each footstep felt as though you were landing on a Tempurpedic mattress. We definitely got a strong leg workout for the next 4 or so miles on the snow mobile trail as we struggled with this soft snowy surface. Returning to the pavement was a welcome break for our tired legs and our pace quickened again. 21 miles. Each mile makes you stronger. I definitely failed with nutrition and hydration for this run. I needed to do a better job pre-loading my system with adequate nutrition prior to the run. I have been having a hard time keeping up with my caloric needs with the high volume of training during peak training. I also managed to not bring enough nutrition or hydration on the run either so was feeling a little “bonky” by the time we got to around mile 12 or 13. I struggled for a bit around the 13 mile mark of the run but with Jenny’s support and encouragement was able to push through and after eating something and finishing off my Skratch Labs Hydration Mix I started to feel a bit better. It has been so cold here lately I underestimated how much more I would need in terms of fluid intake when the temperatures rose so “high” (ha!). I was thankful that this was just a training run and not race day. That is why we train, right? Having Jenny there to help me through this point was such a positive. 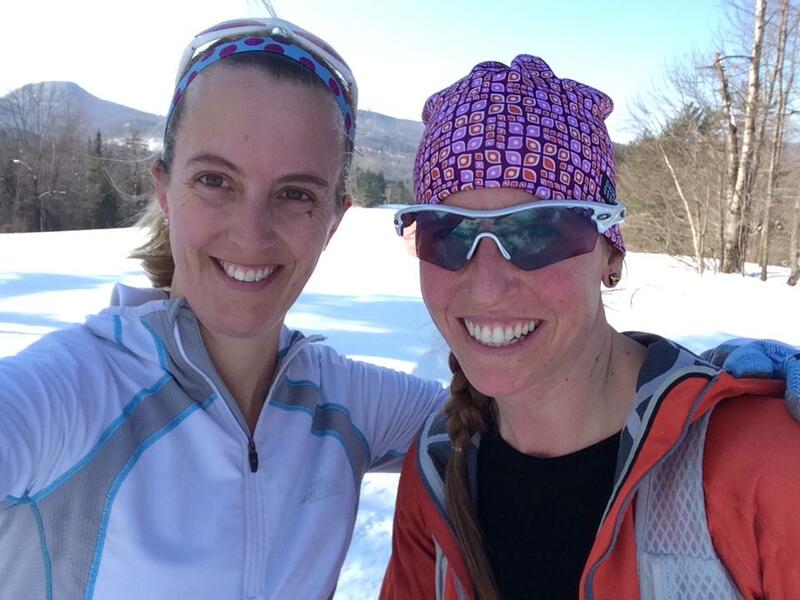 Jenny is an incredible athlete and I even revealed to her that I sometimes feel intimidated when I run with her (it’s that competitive inner-self). She is an amazing athlete although humble and quiet about her successes and she reminded me that we all have our strengths and our weaknesses, and our good days and our bad days. In telling her this I felt somewhat relieved (and perhaps a little bit silly). After that point the run began to feel “easier” again. This is where having strategies to deal with the distance comes into play. When I am running a longer distance I never think of the run as a whole. When I run 20+ miles I break it into smaller pieces, a beginning, middle and end. After the run got tough at miles 12-14 I started to remind myself that we just had a bit over 10K left to run. 10K is one of my favorite distances and it definitely feels like a manageable distance to run. That is one thing that I actually love about running a marathon because once you have run the first 20 miles all that is left is the last 10K and I know that I can rock that part of the run. That’s how the run felt on Saturday too! Jenny and I attacked the last few hills and tried to not let the tightening felt in our legs from all of the hills impact our stride. Finally reaching the top of the last hill we knew the downhill would lead us back to Jenny’s house and so we ran and it felt more relaxed and the last three miles were fun (if you can call 3 miles at the end of 21 fun)! 3:33 for 21 hard miles. Yes! I was so thankful for this run and the awesome gift of my friendship with Jenny. I have many friendships that have become closer because of the miles spent together. 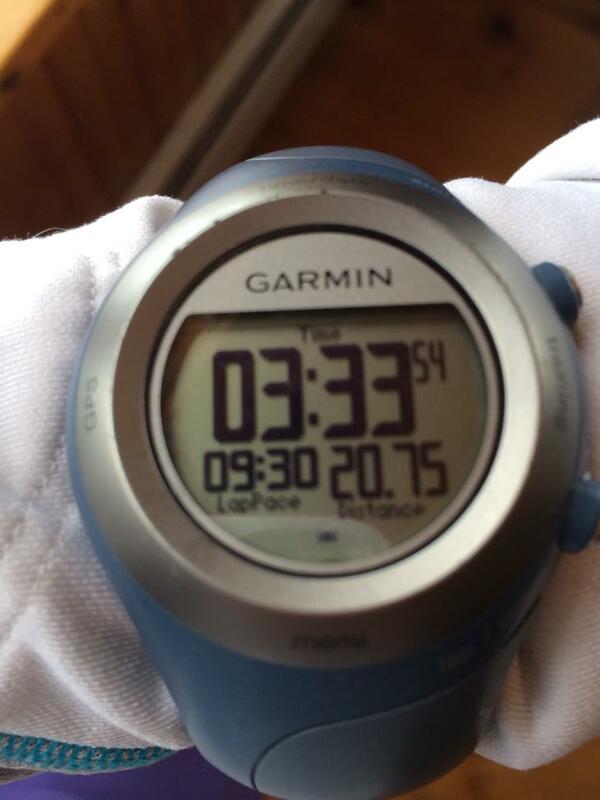 These are the miles that are the most important and that will carry me along the course on April 21st in Boston. I am so thankful for my friends for running with me. Tell me about your last crazy long run! Sounds like a great run! It is amazing how much having a running buddy out there with you can help! YEs, it was awesome and a good friend to run with always makes the long runs better! Awesome run!! I’ve been on the lookout for a running buddy here. There are a few running groups I’ve run with, but no one individual that I feel like I could call up. Running buddies are special!